Like "French girl" and "effortless," the term "cult-favorite" gets thrown around far too liberally in the beauty space. But if ever there were one skin-care item to actually inspire a cult of followers to bow down and start worshipping, it would be Biologique Recherche Lotion P50. This L. Ron Hubbard of toners is a favorite amongst beauty editors and just about every chic woman with even a smidge of skin-care awareness. What Santal 33 is to the fragrance world, P50 is to people who care about their faces. But there&apos;s one major, not-so-secret problem with it: It reeks. While it&apos;s hard to pinpoint exactly what&apos;s so bad about its pungent stench, I&apos;d call it a sulfuric, vinegar-tinged quality. I once described my favorite perfume as what you&apos;d expect people like Michelle Obama or Ryan Gosling to smell like naturally — and well, this is the flipside of that. P50 remains beloved because it&apos;s a watery-textured liquid exfoliant that incorporates multiple acids — a blend of alpha-hydroxy acids and beta-hydroxy acids — so it exfoliates on multiple levels, and it does so much more gently than a scrub or other mechanical type of exfoliator might. There&apos;s also literal onion in it for some reason, which might explain the mysterious smell. Emily Weiss — the founder and CEO of Glossier — thinks it smells terrible, too; she once used the phrase "trash face" in reference to it. But she&apos;s also routinely cited it as one of her most beloved products. 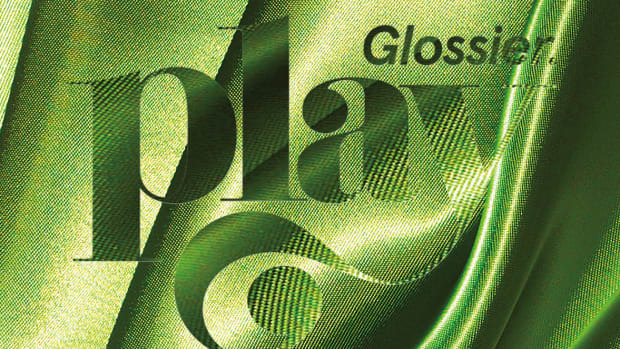 Into the Gloss even has its own post fully dedicated to reviewing the various different types of P50s. So, it&apos;s not exactly shocking that the beauty startup is making its own take on the cult favorite. Well, a souped-up, millennial pink version, anyway. 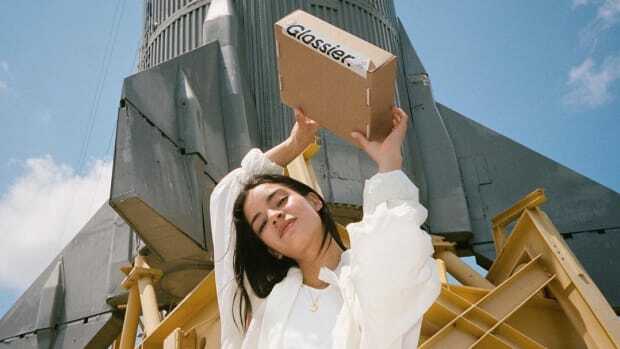 Glossier Solution, described in a release from the brand as a "skin-perfecting, acne-fighting, liquid exfoliator" was officially announced on Wednesday morning, despite whispers of it for weeks before that. According to the same press materials, the product&apos;s claims include exfoliating, clearing acne, minimizing pores and evening tone and texture. It also reportedly carries a much milder scent than P50, though the press release carefully avoids that subject. 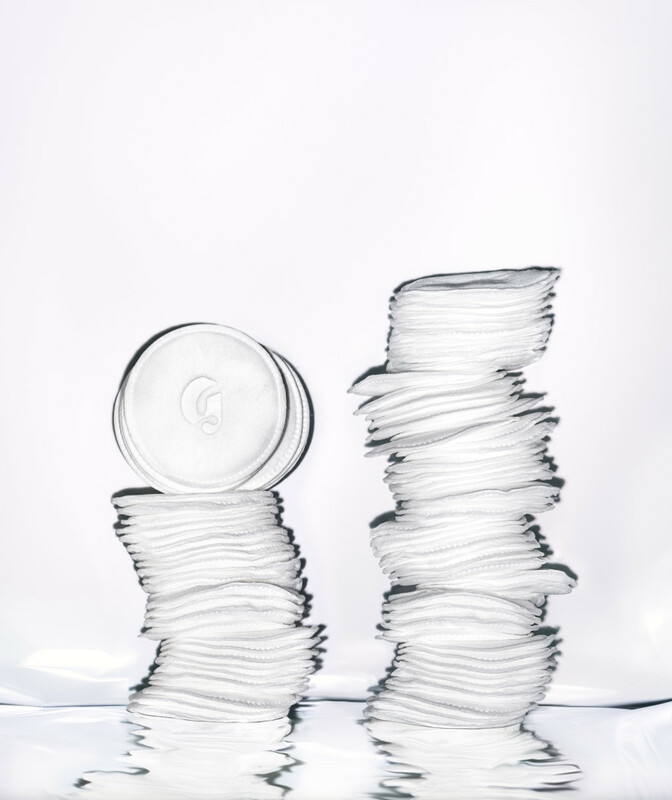 It was developed (over the course of 15 months, according to Glossier) to be "potent enough for maximum efficacy but gentle enough for everyday use." I have to admit, a look at the ingredients list does make it sound pretty impressive. Like the cult OG, it combines a variety of acids — in the Glossier product&apos;s case, a 10 percent blend of salicylic (a BHA), glycolic and lactic (AHAs), gluconolactone (a polyhydroxy acid, or PHA) — it outdoes even my beloved one-acid Paula&apos;s Choice BHA Liquid, which I always end up cocktailing with an AHA product for a more thorough exfoliation. (AHAs and BHAs work on different levels, so you need &apos;em both if you want to really, truly slough everything off.) The formula is also spiked with glycerin, aloe and Fashionista favorite niacinamide for calming effects. 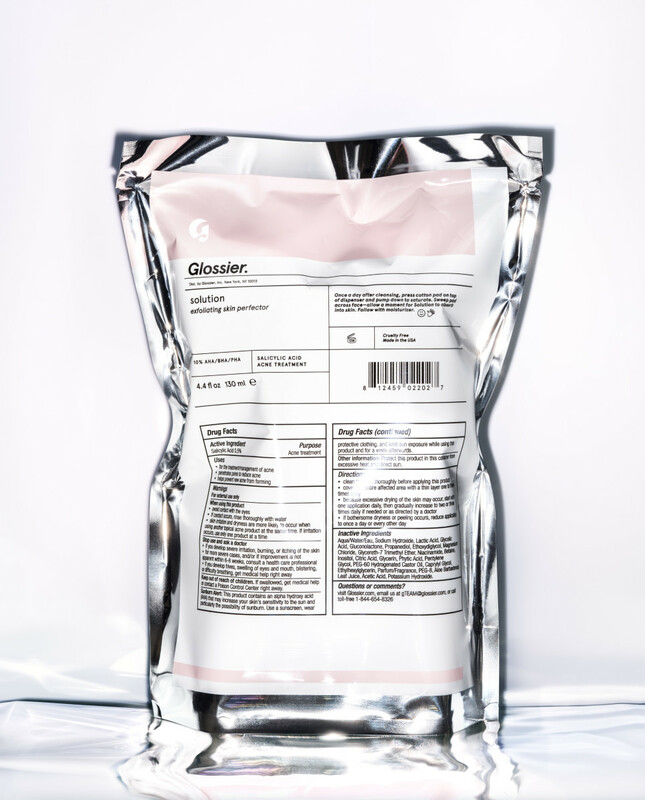 Glossier Solution comes in a clinical-looking foil pouch (above), and the product bottle itself is also noteworthy, with a pump lid dispenser — akin to the kind most salons use to dispense nail polish remover — that I wish any and all liquid skin-care products were required to feature. It will retail for $24 beginning on Wednesday. 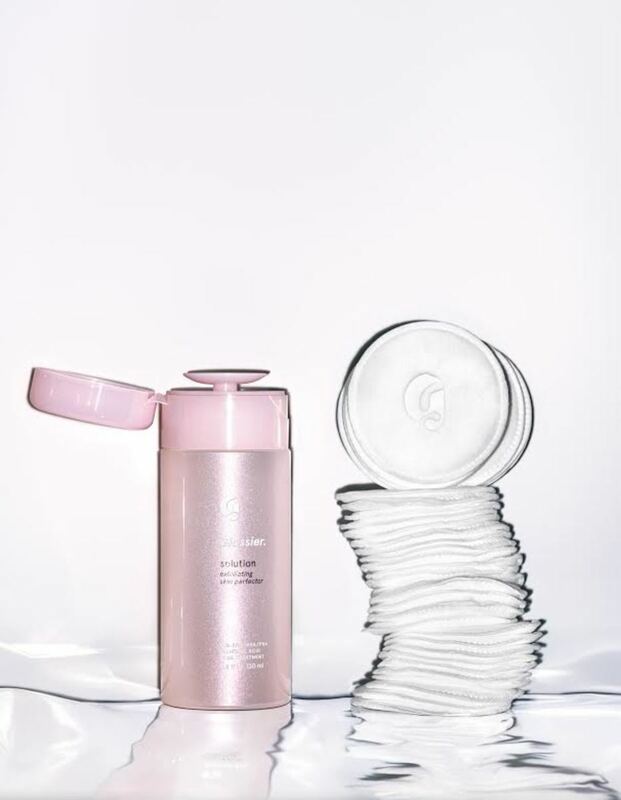 To accompany the liquid exfoliant, Glossier is also launching its own cotton pads, which are embossed with the brand&apos;s "G" logo and will retail for $4. As a devotee of the school of chemical exfoliants, I am quite intrigued to get my hands on a bottle of this new millennial-bait launch. You can rest assured that as soon as I do, I&apos;ll update this post with my most candid and honest feedback about its efficacy and whether it smells even the tiniest bit like P50. But for the time being, suffice it to say my interest has very much been piqued. Glossier, I&apos;ve succumbed to the lure of your pink marketing prowess yet again. UPDATE, Monday, Feb. 5, 4:10 p.m.: As promised, here I am: Back with my review, now that I&apos;ve gotten the chance to give Glossier Solution a proper trial. Let&apos;s get this important point of the way first: The smell of it is approximately 10,000 times less offensive than P50. That&apos;s just a rough estimate. In fact, it barely has any memorable scent. There&apos;s something faintly medicinal about it, and perhaps a little minty or herbal, like a not-super-appetizing tea. But it&apos;s mild and doesn&apos;t linger. No "trash face" here! At this point, I&apos;ve been using Glossier Solution in lieu of my usual exfoliating treatments (mentioned above) for about two weeks. And so far, I like it! I mean with exactly that level of enthusiasm — one exclamation point&apos;s worth. Would I say I love it? Would I say it&apos;s completely changed my skin and cured me of all breakouts and made my life better? No. Will it replace Paula&apos;s Choice BHA Liquid as my most-recommended beauty product? That&apos;s yet to be determined. But I can tell that it&apos;s doing pretty much exactly what it claimed to do: thoroughly and gently exfoliating via a smart combination of acids. How, exactly, can I tell it&apos;s doing that? 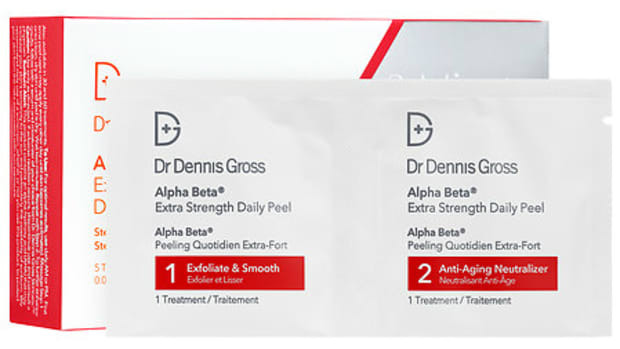 Normally if I go too many days between using my exfoliator of choice, my skin starts to look dull, my pores appear larger and I&apos;ll notice the beginnings of a breakout. Ick. While I&apos;ve been using Solution, my skin has overall been pretty smooth and the dullness/breakouts haven&apos;t cropped up. Clearly, it&apos;s doing something right. In comparison to other similar liquid exfoliants I&apos;ve tried, it&apos;s slightly more watery in texture, which means it&apos;s not greasy and there is no film left behind whatsoever. And also unlike some other glycolic products I&apos;ve tried, Solution doesn&apos;t leave skin even a tiny bit tingly or red after use — that likely owes to the fairly low percentage of the ingredient in the formula. So I can see why this would be an ideal option for those with sensitive skin or anyone who has been wary about trying acids in the past because of one too many "Fight Club" viewings. But as someone who normally craves very intense exfoliation, a part of me wishes it was a bit more potent. For now, I like it enough to make it a regular part of my winter skin-care routine, and then maybe in the summer — when my skin tends to be extra-desperate for good, deep sloughing — I&apos;ll switch back to my other exfoliators with higher concentrations of AHAs and BHAs.